Today I’d like to tell you about a winery that’s pretty much right in our own backyard (that is, if you live near Sacramento), and a talented winemaker named Kevin Stevenson. The winery is called Casque Wines, and they are located in Loomis off of Taylor road in their new tasting room. If the name sounds familiar, it might be because they used to share a tasting room with Wise Villas, or maybe because in 2010 they took Best of Show at the California State Fair. Or perhaps this is the first time you have ever heard of them. Well, I am happy to introduce you. Though there some very good wineries in the Placer area, this one is actually my new favorite. I had the chance to go through their entire portfolio a few months ago at The Grape Days of Summer, and since I love interesting white wines, they had me at Roussanne. 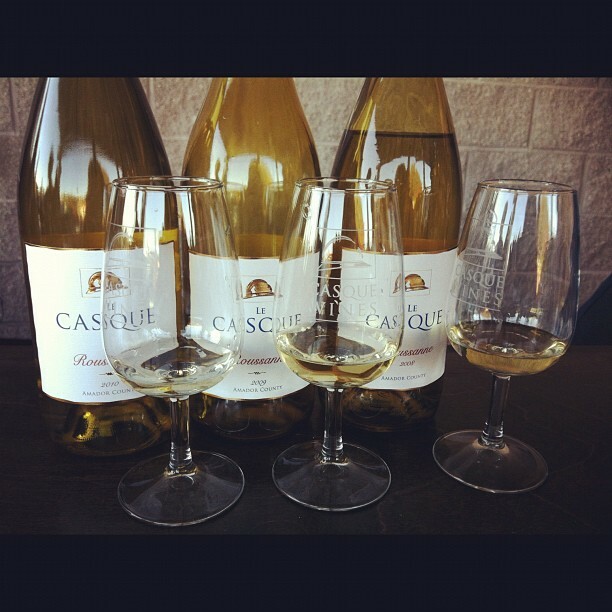 Right now in the Casque tasting room, they are doing a three-year vertical tasting of their Roussanne (pictured above). What is remarkable about this, is that you can really taste the difference in vintages, as well as see the color change. When I first tried the wines, it was very comparable to a tequila tasting, as in tequila the flavor gets more caramel, heavier, and the color darker as it ages. The same goes for the Casque Roussannes. I find it a little better to try the youngest vintage first, so request to do that if you can. The BF and I walked away with the 2010 (his favorite) and the 2008 (my favorite). Our 2010 Roussanne displays a pale gold color in the glass. On the nose the wine exhibits wonderful aromas of beeswax and melon along with a strong minerality. The mid-palate shows an unexpected lushness, given the wine’s strong minerality, with added notes of peach sherbet and cream. All of the components meld into a long, seamless finish, with subtle hints of vanilla and caramel making an encore appearance. You can buy wine from Casque here, but I really suggest you go to the winery itself if possible and meet the winemaker (who also happens to sing and play guitar), taste the wines, and chat for a while. If you’re not into whites, they are making a Malbec I am really digging, and then there is their proprietary wine, Adrian that we both also loved. And now a great excuse to visit the Casque tasting room this very weekend!! Bring a new unwrapped child’s toy to donate for the Marine Toys for Tots Foundation Toy Drive and wine tasting is free for the day! All toys collected will be donated to needy children throughout Placer County. 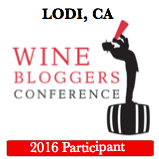 (Otherwise, individual winery tasting fees apply). In honor of our troops coming home and families reuniting for the holidays, each winery will decorate with their interpretation of what it means to be “home for the holidays.” See different displays and enter a drawing for a chance to win a mixed case of Placer County Wines and other prizes. FOOD: FireVine Pizza on Saturday and Sunday: Personal Pizzas made to order ($8 – $10) or bring your own picnic. LATE HOURS: Join us on Saturday evening from 5 until 8pm for our wine bar and wine flights plus additional music by the fireside. 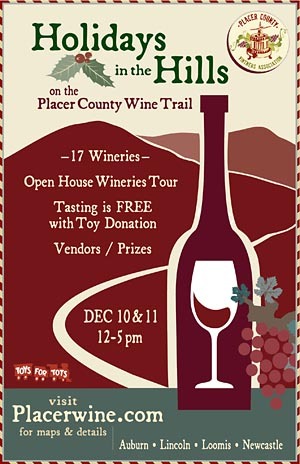 For more information on the event and other wineries participating, you can go to Placer Wine’s website. You can find Casque Wines on Facebook here. This entry was posted on December 6, 2011 by cavegrrl. 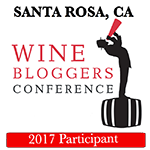 It was filed under California State Fair, Casque Wines, events, food, loomis, PCVA, placer county, wine, wine tasting, Wise Villa Winery .